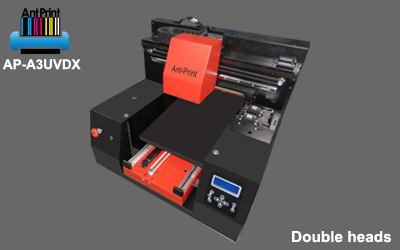 Double heads AP-A3UVDX looks the similar with the single head t-shirt printer AP-A3UVX. 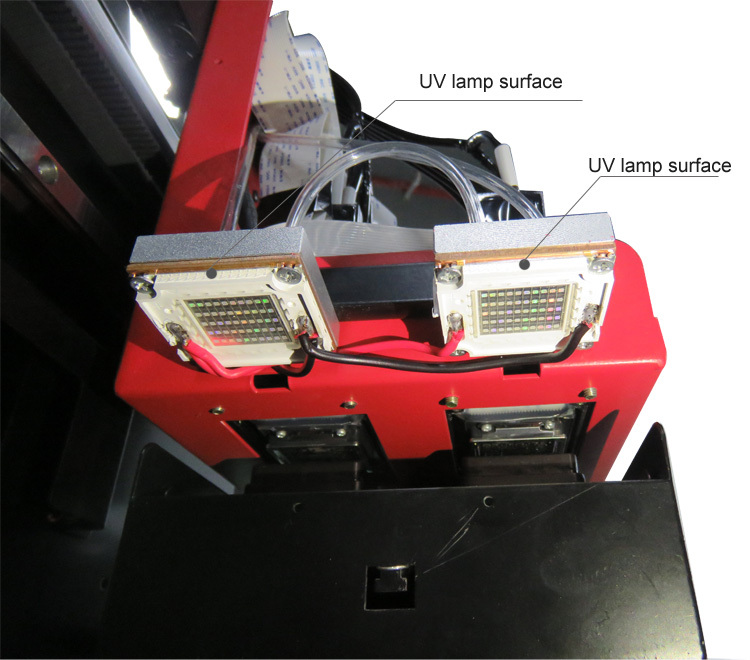 The difference is AP-A3UVDX has two printer heads, double LED UV lamps, two set clean units. 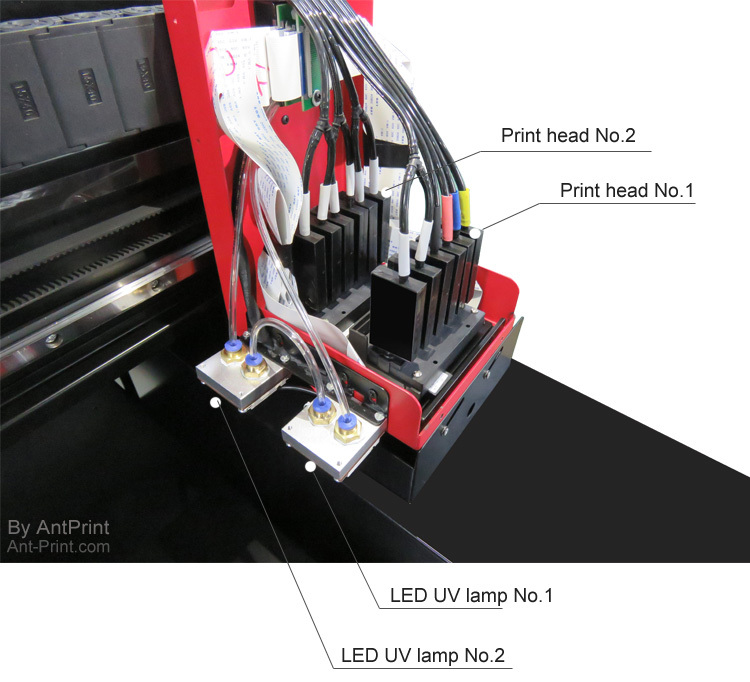 The biggest advantages of the double heads UV printer / t-shirt printer is the printing speed: As it has one special print head for textile white ink /UV white ink, the printing speed is more 2 times than AP-A3UVX for printing on dark materials. 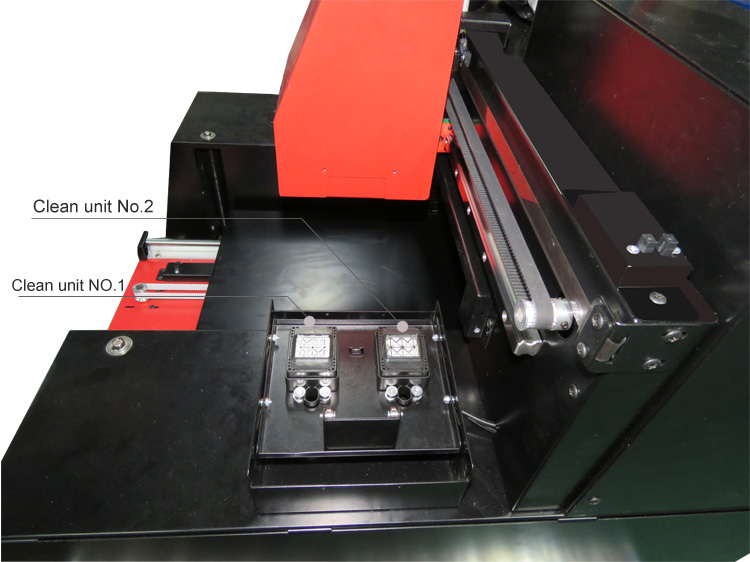 Welcome to sent ” Inquiry ” to us and we will reply you within 1 hour!